Please click on the picture to see a larger view. 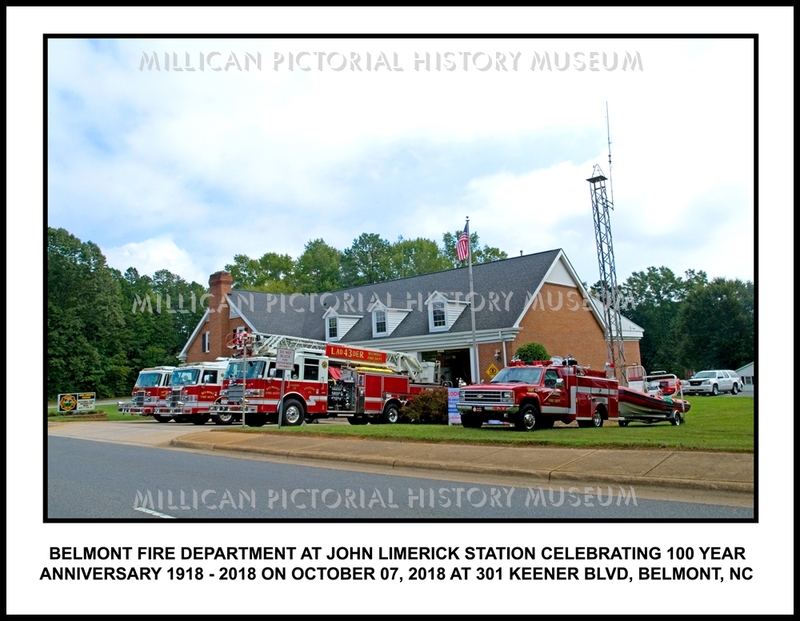 Belmont Fire Dept at John Limerick Station celebrating 100 Year Anniversary 1918 – 2018 on October 07, 2018 at 301 Keener Blvd, Belmont, NC. This is an 8 1/2 x 11 picture that will fit perfectly in a document frame.